Every business builds lists of contacts comprising of clients, vendors, partners and employees. One of the most effective ways of making the best out the relationship is email communication. Emails give us opportunity to forge deep connection by educating our audiences, conveying the value proposition and selling products/services that would meet the specific requirements. However, the attention span of people has gone down drastically considering the sheer the number of businesses trying to reach the inbox at the right time. This means we need to work most efficiently via an email marketing tool to connect with a contact. Although MailChimp is the name with highest brand recall in the email marketing domain, there are some worthy alternatives that you must consider. Here is the list of top 10 MailChimp alternatives in no particular order. Campaign Monitor has developed everything a business needs to run compelling email marketing campaigns. Not only this, this platform can be particularly useful to digital agencies who are planning to manage the campaigns for their clients. The interface can be modified in accordance with the company’s branding elements and sub accounts can be created to allow clients run their own campaigns. This handy tool can be used to easily segment the email lists, derive deep insights via split tests and access elegant reports. On top of this, Campaign Monitor automatically takes care of signups, unsubscribes and bounces, so you can simply focus on campaigns! It also integrates with a number of popular third party tools such as Wufoo, Shpify, WordPress, Zapier and more. The easy-to-use design elements make sure that with a few clicks new account can be created and campaign can be launched. Campaign Monitor’s basic plan starts with $9 per month with a cap of 2500 emails to 500 people. The higher plans vary depending on the number of subscribers and emails — fee can go up to $299 for 2,50,00 emails to 50,000 people. This tool focuses on simplicity, superior customer service and beautiful email designs. The special attention to the usability allows new users to quickly create and launch beautiful mobile-friendly email campaigns via templates, generate reports, manage subscribers and unsubscribers. Apart from that, custom popups, embedded forms and landing pages can be created via drag and drop interface. Their third party integration includes Shopify, Facebook, WordPress, Zapier, Piesync and more. The most compelling aspect of this tool is the free plan that comes with all the features of premium plans only with the upper limit of 1000 emails per month. Paid plan starts from $10 per month and reaches $140 for 45,001 – 50,000 subscribers. This tool is one of the most easy-to-use SaaS apps with more that 350,000+ small businesses as clients. Their seamless drag ‘n drop email editor (winner of the Stevie Award in 2012) comes pre-packaged with mobile-friendly newsletter templates and appealing images from iStock library. Their reporting ability and the functionality to create up to five split tests cannot be matched by any other provider. Pricing starts from $15 per month for a subscriber list of 1000 people and goes up to $1199 per month for 100,000+ subscribers. ActiveCampaign provides two-pronged solution – email marketing and marketing automation. It allows you to send newsletters, maintain contacts, and automate your marketing campaigns via rules. In addition to multi-language support, this tool helps you create visually appealing dynamic email content, generate insights by tracking audience behaviour and demographics. The live user support is a great value addition considering it can help you move quickly in case of any ambiguity. For $9.00 per month, you can subscribe to its Lite package which is the base plan and send unlimited emails to up to 500 contacts. Pricing increases depending on the type of feature, the number of subscribers and the number of emails. 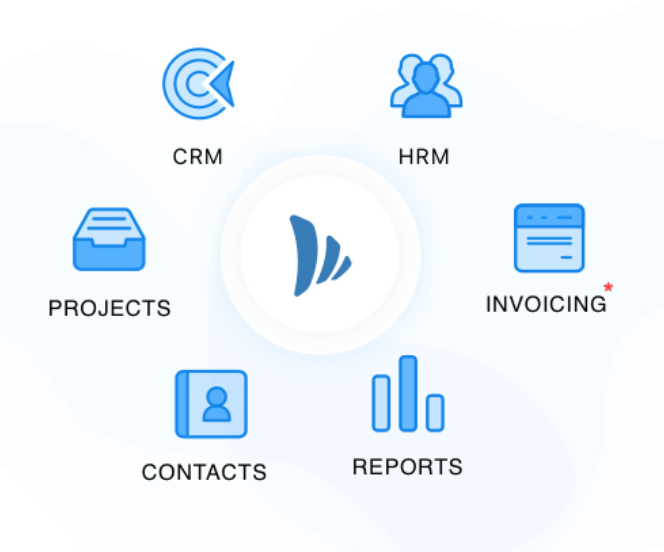 SendinBlue offer ranges of features including marketing automation, contact management, transactional emails, and SMS messages. Currently, more than 50,000 customers around the globe are using SendinBlue because of affordable pricing, dedicated customer service, and a single platform for various communication requirements. Many popular apps, e-commerce engines, and CMS apps offer native integration with SendinBlue; major ones are WordPress, Magento, WooCommerce, Drupal, Shopify, Zapier, OptinMonster, and more. The API can be used to build custom integration via any of the major programming languages. SendinBlue pricing depends on the number of email messages instead of the number of subscribers. The free account lets you send up to 9000 emails per month without spending a dime. More number of emails, for example 40,000 emails per month can be delivered for just $7.37 and 1,20,000 emails for close to $60. This solution offers integrated communication tools, i.e., email, web push and SMS. But, the most important factor is its AI-driven e-mail marketing tool that automatically improves the core metric – newsletter open rate. They store tons of user data from billions of subscribers present in their system and use predictive modelling techniques to deliver the message at the most optimal time in the most effective manner. They claim to have witnessed 50% increment in open rate for some of the clients. The free plan allows users to send 15,000 emails to 2,500 subscribers per month. Its monthly plan starts from $9.85; there is also a pay as you plan which is suitable for users who are not sending large number of mails. Constant Contact is a great email marketing platform for small businesses. They provide multitude of resources to small businesses to build expertise in email marketings. Their customer education resources include live and on-demand webinars apart from live classes that are full-day courses suitable for training users on usage of the app. In addition, they have more than 400 intuitive email templates segregated into various industries and functions. Additionally, users get options to integrate email and social media campaigns. Their app provides integration with Hootsuite, so you can update social media as well from single location. The emails come with in-built functionality that encourages receivers to share certain emails on social media. The strong integration ensures that you can easily the updates and measure the performance on social media right in Constant Contact. One of major issues with this app is the lack of ability to perform split tests. There is free trial period of 60 days and the basic plan starts from $20 per month for a list size of 500 contacts. This is expensive if we compare with the other options. Campayn allows you to design, share and track email newsletters and marketing emails. 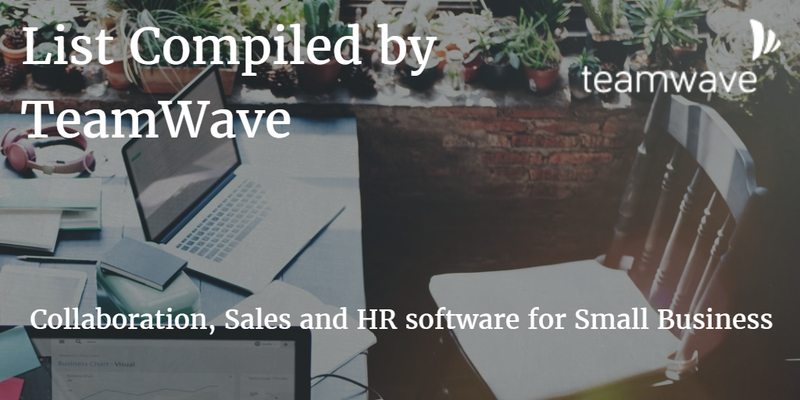 Features include template-based & HTML-based email designing, list segmentation, contact management, email automation, web forms and reporting. All the emails are responsive and optimized for mobile devices. The ‘Free for Life’ plan allows you to send 12,500 emails to 500 contacts per month. The next pricing tier comes for $19 per month, which allows you to send 15,000 emails to 3,000 subscribers. AWeber is largely popular because of simple and easy-to-use interface — no coding or design experience is required. This tool offers drag and drop editor along with 600+ e-mail templates to create outstanding email campaigns. AWeber boasts a 99% delivery rate, which means your emails get accurately delivered to the subscribers right in the inbox, not the spam folder. It allows you to perform various split tests to learn more about your audiences and the reporting tool lets you measure the performance of your campaigns with important, easy-to-access metrics. Their training resources include how-to video tutorials, eBooks, free live webinars and a practical blog. AWeber has 30-day trial plan and the base plan has subscription fee of $19 per month for unlimited emails to a list with 500 contacts. Sendy is a self-hosted Email Newsletter Application that delivers email via Amazon SES and runs on PHP and MySQL. This essentially means you can install this application in your server (email.domainname.com) instead of subscribing to other service providers. This solution is complete with reports, subscriber & list management features. Third party integration can be done via Zapier and you are also free to edit the source code for further customizations. Sendy comes with one-time cost of $59 which allows you to install it on one domain. Thank you for a fresh update on email marketing providers. MailChimp always seemed a nice option to me, especially in terms of its’ own Brand communication, their recent advertisements are just stunning. However, it’s not all about the brand, as a smaller business owner I just feel like I do not get enough value and features for a price that has to be paid, especially comparing to those alternatives that you have reviewed. Currently, I am using MailerLite, because I can use all the newest email marketing features to communicate with my audience and create meaningful relationships, without worrying that I am missing out on something. And I agree with you, it easy to use, even advanced features like Automation or Landing Pages are super easy to handle. ← TeamWave for Android​ is here!